Royal jelly is the secretion of the hypopharyngeal glands of young worker bees and is found in the royal cells, where bees raise their future queens. It is a concentrate of vitamins (B1, B2, B5, B6, H, E, A) and trace elements (potassium, iron, copper, calcium, silicon, phosphorus, etc...). It is the natural substance with the highest content of pantothenic acid (vitamin B5), which regulates the subtle and complex chemical reactions that govern the metabolism of foods: without pantothenic acid the body cannot absorb the products of digestion. It is especially suitable for children of any age to increase their appetite, for recovering patients regaining their strength and dynamism, for stressed or fatigued individuals to restore a neuropsychological balance swiftly. 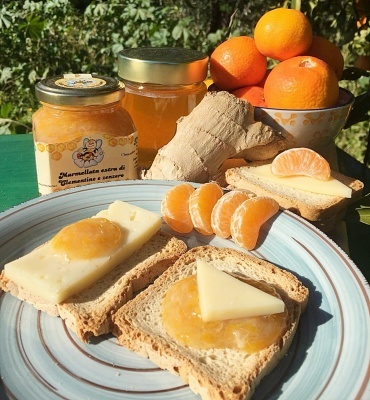 Royal Jelly is also recommended for athletes and sports enthusiasts in general because it improves the general condition of the body and increases the ability to work both physically and mentally.